Do you or someone you know have smelly feet? Medically known as bromhidrosis, feet that have an odor are a common year-round problem caused by sweat and wearing the same shoes. The foul smell occurs when excess foot moisture allows common skin bacteria to overgrow. Although anyone can have smelly feet, pregnant women and teenagers are common targets because of hormonal changes. Excessive sweating is called hyperhidrosis (3% of the population), and often times those diagnosed have sweaty palms as well. Wash your feet daily with antibacterial soap, making sure you clean between your toes. Dry thoroughly with a towel and apply cornstarch or antifungal powder. Wear wicking socks that draw moisture away from your feet (avoid 100% cotton socks). Change socks throughout the day. Wear shoes that are made of breathable materials, and try not to wear the same pair two days in a row so that they have time to air out. Spray antifungal spray in your shoes prior to wearing (we sell a great brand in our office). A technique called iontophoresis has been found helpful for at-home use for sweaty feet sufferers. If your feet sweat excessively, seek the help of a podiatrist. According to the US National Library of Medicine, “less than 40 percent of people with excessive sweating seek medical care.”  There are many different treatment options including antiperspirants, Botox injections, and oral prescriptions. Good hygiene is key at preventing sweating and odor. Our doctors at Indy Podiatry can help you control your excessive sweating and end embarrassing odors. Give us a call today at 317-573-4250. If you suffer from chronic dry feet or cracked heels, you are not alone. According to the 2012 National Foot Health Assessment 20 percent of US adults ages 21 and older have experienced cracked skin on their feet. Women are affected by this condition more than men. Dry skin is not a dangerous condition, but if your skin is cracking and bleeding, it can lead to an infection. This is especially dangerous for anyone with a lowered immune system or diabetes. Symptoms can include red or flaky patches, itchy, peeling or cracked skin. Fungal infections such as Athlete’s Foot have similar symptoms, so check for blisters around your toes. If you do have blisters, make sure to use an antifungal medication to clear up the fungal infection. If you have any questions or concerns, please call our office today at 317-573-4250 so that we can figure out the best treatment plan for you. Have you recently discovered a lump or bump on your foot, and are wondering what it could be? Lumps and bumps on the feet can be a serious or a non-serious condition. It’s important to have any lump or bump examined by a podiatrist so that any suspicion of cancer can be eliminated. Bumps can vary in size and location (from the toes all the way to the ankle). You may or may not experience pain or changes in daily activity. Below you will find a few different common types of lumps/bumps found on the feet and ankles. A soft, fluid-filled benign (noncancerous) sac found on the tendons and joints. These cysts can be caused by leakage of fluid from the capsule surrounding a joint or tendon. Locations include the top of the foot, near the ankle joint or on the side of the foot. Ganglion cysts do not go away on their own and often return even after drainage. Nonsurgical treatment options include monitoring, shoe modifications, and aspiration followed by an injection. A fibrous knot in the arch of the foot embedded in the plantar fascia (band of tissue that runs from the heel to the ball of the foot). A plantar fibroma can occur on one or both feet (noncancerous). Fibromas are often not painful. Pain is usually caused by a shoe pushing against the fibroma. Fibromas do not go away without treatment. If there is pain with a fibroma, nonsurgical treatment options include custom orthotics and steroid injections. A bony enlargement on the back of the heel, often caused by inherited foot structures such as high arches, tight Achilles tendon and a tendency to walk on the outside of the heel. Haglund’s Deformity is often referred to as “pump bump” because the rigid backs of pumps can create pressure that aggravates the bony enlargement while walking. Avoid wearing any shoe that has a rigid back (men’s dress shoes, ice skates and heels). Haglund’s Deformity symptoms include a noticeable bump on the back of the heel, pain, swelling, and redness. Nonsurgical treatment is targeted towards reducing inflammation of the bursa and could include oral medication, stretching exercises, heel lifts/pads, shoe modification, physical therapy, and custom orthotic devices. Lumps and bumps on the foot tend to not go away on their own. If you have a mysterious lump or bump on your foot, let us put your mind to ease. Please call us today at 317-573-4250 so that we can figure out the best treatment plan for you. Did you know that women are more vulnerable to foot pain than men? The days of wearing narrow-fitting shoes and sacrificing comfort for style are over. Dr. Higgins has compiled a list of her favorite women’s shoes that are stylish, comfortable and even fit your custom orthotics. ASICS – ASICS footwear is designed to keep you moving. They offer a variety of shoes for different sports and foot types. New Balance – New Balance offers shoes made in the United States ranging from casual to athletic. Athleisure in style with a pair of their Fresh Foam sneakers. Vionic – These women’s shoes offer comfort, support, and style all in one. Their shoes are also the perfect fit for your custom orthotics. Choose from strappy sandals, heels, boots and supportive flats in a variety of patterns and colors. 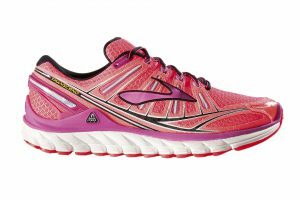 Brooks – Brooks offers running, track, trail and walking shoes in a wide range of styles that fit your custom orthotics. Clarks – For 200 years, Clarks has been making innovative, comfortable shoes. Their women’s selection ranges from loafers to boots and heels to sandals—all with support and stability in mind. Ecco – ECCO shoes come highly rated and also offer a variety of styles. Their insoles are also removable, offering plenty of room for your custom orthotics. The following brands are ones we carry in our office, and also have the podiatry seal of approval from all of our doctors. Dr. Comfort – We have carried Dr. Comfort shoes for a long time because of their comfort, reliability, and variety of different sizes. From comfy casual to supportive dress, Indy Podiatry offers a wide range of styles in office. Orthofeet – Orthofeet promises pain-free or your money back, and come recommended by podiatrists everywhere. They also come with removable orthotic insoles in every pair of shoes. Check out our extremely comfortable heels! Apex – Apex brand shoes are designed by foot health experts to provide comfort, support, and style for over 50 years. If you have any questions about proper shoes or custom orthotics, please call our office today at 317-573-4250 so that one of our knowledgeable podiatrists can help you on your path to pain-free feet and ankles. Suffer from knee, leg, hip or back pain? Run, walk, exercise or play sports? Stand for long periods of time? Suffer from heel, arch or ball of foot pain? Custom orthotics might be for you! And this month we want you to get back in the game with our Arch Madness custom orthotics special. During the month of March, get $75 off your first pair of custom orthotics and $30 off your second pair*! If you have problems with any of the above, one of our doctors can do a complete evaluation to determine where and how your structure and motion deviate from normal. 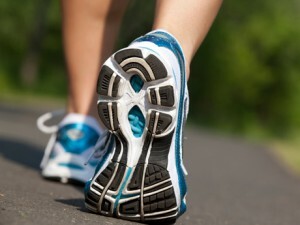 Indy Podiatry is a well-known expert in the area of custom orthotic devices. *Discount applies to orthotics not covered by an insurance plan. Have you been looking for the perfect pair of shoes that are great for your feet and also stylish? You don’t have to sacrifice one for the other–our podiatrists have compiled a list of their favorite men’s shoes that are stylish, comfortable and fit your custom orthotics. Cole Haan Zerogrand Collection – Cole Haan is known for their innovative shoes, and their men’s Zerogrand collection offers innovative comfort, breathability, and design. They offer a variety of styles including oxfords, trainers and boots. ECCO -ECCO shoes come highly rated and also offer a variety of styles. Their insoles are also removable, offering plenty of room for your custom orthotics. 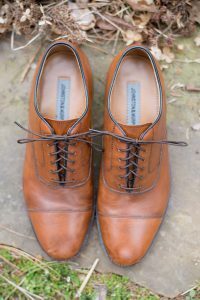 Johnston & Murphy (any of their shoes with the removable footbeds) – Johnston & Murphy has been around since 1850 and their shoes come in seemingly endless selections. 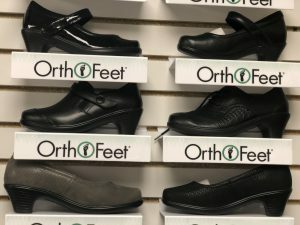 You can find a wide array of quality dress shoes, sneakers, boots, chukkas or sandals with removable footbeds to accommodate wide feet and/or orthotics. Dr. Comfort – We have carried Dr. Comfort shoes for a long time because of their comfort, reliability and variety of different sizes. From comfy casual to supportive dress, Indy Podiatry offers a wide range of styles in office. Orthofeet – Orthofeet promises pain-free or your money back, and come recommended by podiatrists everywhere. They also come with removable orthotic insoles in every pair of shoes. Our office has recently added Orthofeet styles including athletic, boat shoes and boots. Apex – Apex brand shoes are designed by foot health experts to provide comfort, support and style for over 50 years. Did you know that in any given year more than half of all runners incur an injury that forces them to stop running, sometimes for weeks or months? Fortunately, there are many actions you can take that will decrease your risk of injury and allow you to continue running. Strengthen your core – a strong core is essential to a smooth, efficient running stride. A weak core increases your risk of a running injury. You should devote a minimum of 15 minutes twice each week to a core strengthening program. Balance hard running with rest days – it is essential that we allow our bodies the opportunity to rest, recover and adapt to increased training. Overtraining by failing to allow adequate rest days will significantly increase your likelihood of developing a running injury. Stretching is not a warm-up – to prepare your body for running, start by walking or running slowly and gradually increase to your desired pace over a period of several minutes. Jumping into a run at your mid-run pace strains your muscles, tendons, and ligaments and increases your risk of an injury. Increase your training distances gradually – Adding too much distance too soon may be the single most common cause of developing a running injury. Limit weekly increases in the amount of time you run or the distance you cover, to 5 to 10%. After increasing your distance total for a week or two, allow yourself a week of less running to let your body strengthen and repair. Then resume your 5 to 10% increases. Cross train – Strengthening your legs with non-impact exercise allows your body to better handle the stresses of running and decreases your injury risk. Choose the right shoes – Don’t be fooled by shoe fads. Most runners will do best in a neutral shoe (light stability or non-stability). Follow our running shoe guide and replace them every 300 – 400 miles. Some foot types need special shoe inserts – Unfortunately, many of us are born with foot types that increase the risk of running injuries. For instance, varieties of high arches (pes cavus) or flat feet (pes valgus) put abnormal stresses on the feet and legs when running. We can fabricate a custom shoe insert that will mitigate these abnormal forces and decrease your injury risk. Orthotic devices are also often essential to help recover from certain injuries such as plantar fasciitis. Get the right shoe fit – Wearing shoes that are too small is very common and unfortunately increases your risk of toe pain and injury. Make sure you have a full thumb’s width between the end of your longest toe and the tip of your shoe when you are standing. Our feet naturally swell as the day goes on so be sure to buy your shoes after running or later in the day. Vary your training surface – Try to incorporate different running surfaces such as dirt trails and grassy terrain into your exercise regimen instead of just running on hard surfaces. This variation will increase your lower extremity strength, improve your balance and decrease your injury risk. If you’ve experienced an ingrown toenail, you know how painful they can be. An ingrown toenail occurs when the edge of a toenail pushes into the adjacent skin. This causes soreness or even significant pain and infection. Sometimes an ingrown toenail is chronic in nature. Over time, the nail edge gradually turns down. Eventually, this impinges on the skin and causes soreness or pain to develop. Acute ingrown toenails occur when the adjacent skin becomes infected, thus causing redness, pain, mild swelling and drainage. Soak your foot in Epsom salt water for 10 minutes once daily. The water should be a comfortable temperature, not hot. Apply antibiotic ointment to the ingrown nail edge once daily. Try to wear shoes that do not put pressure on the ingrown nail edge. Contact your podiatrist right away if your toenail doesn’t improve or worsens. Ingrown toenails can be fixed by a podiatrist in the office with a simple procedure. After numbing the toe, a small portion of the nail edge is removed. In most cases, medication is applied at the nail root so the correction is permanent. A full return to all activities is usually possible the next day. 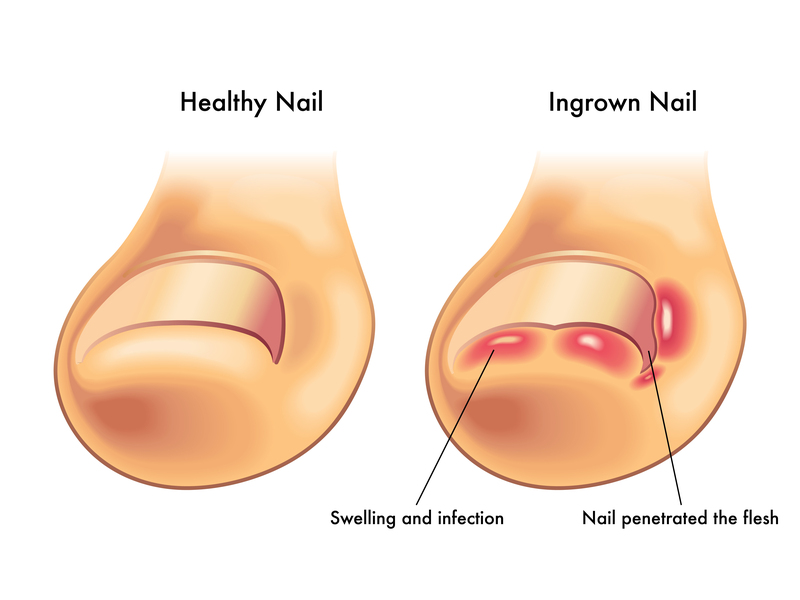 If you have any questions or think you have an ingrown toenail, give us a call today at 317-573-4250. Goodbye 2018, and hello 2019! Making a New Year’s resolution is a tradition that people have been practicing for over 4,000 years. Year after year, the top resolution made is to become healthier through di et and exercise. We think that’s an excellent goal, and want everyone to live healthy, active lives. However, one aspect that many people don’t think about when crafting resolutions is foot and ankle health. We’ve listed five resolutions you should consider adding to your list this year. Ensure you have form-fitting and supportive shoes. Replace your shoes every 300-500 miles of walking or running or every 45-60 hours of other activities such as dancing, basketball or tennis. Listen to your body. Don’t run or exercise through constant pain, as doing so could lead to serious injury. Stop wearing the wrong shoes. Limit the time you wear high heels and flip-flops as both are harmful to the health of your feet and ankles. If you must wear heels, try checking out our selection of heels and sandals located in our office. These shoes are podiatrist recommended and offer plenty of support, cushion, and comfort. 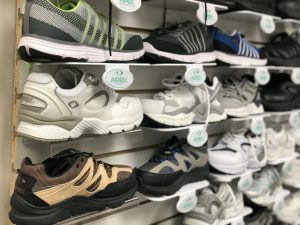 Check out our tips for buying new shoes. Start a daily foot care regimen. This includes inspecting your feet (daily if you are diabetic) and keeping your feet clean and applying moisturizer to the bottoms of your feet daily. Stop living with foot or ankle pain. If your feet or ankles are constantly bothering you, then it’s time to schedule an appointment with us. Our knowledgeable doctors can pinpoint exactly what’s causing you grief, and find the best solution to get you back on your feet. We wish everyone a Happy New Year and healthy feet. If you are experiencing any foot or ankle pain, or have any questions, please call Indy Podiatry today at 317-573-4250. Our foot and ankle care doctors and surgeons are board-certified by the American Board of Foot and Ankle Surgery and are members of the American College of Foot and Ankle Surgeons and the American Podiatric Medical Association. Colder weather means a change in footwear and activities for many people. You don’t have to sacrifice your outdoor activities and routines to avoid the cold. We have compiled a list of winter foot care tips to help keep your feet healthy this winter season. 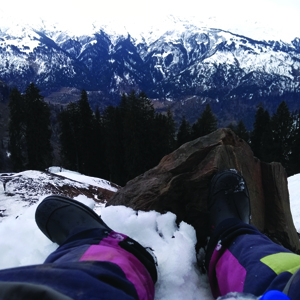 Never ski or snowboard in any footwear other than boots specifically designed for these activities. Make sure your ski/snowboard boots fit properly by ensuring there’s room to wiggle your toes, while also able to immobilize the heel, instep, and ball of your foot. If you’re an outdoor runner, don’t let the cold stop you. Wear lightweight, moisture-wicking activewear to help you stay warm and dry in bitter temperatures. Instead of changing your footstrike pattern for icy conditions, shorten your stride to help maintain stability. Cold weather can make you less flexible than in the summer, so stretch and warm up your muscles before you begin your run. Waterproof boots and the warm socks you wear still tends to lead to damp, sweaty feet in the winter. Damp, sweaty feet are more prone to bacterial infections. To keep your feet dry, use foot powder inside socks and take extra foot baths this winter. Although it may be tempting to buy larger sized footwear for your children (so they can wear them next season), avoid doing so. Unlike clothing items, footwear needs to fit properly right away. Doing so helps prevent blisters, chaffing and foot/ankle injuries. If socks are too small, they can cause toes to bunch together and lead to painful blisters or corns. Never ever wear summer shoes that expose your feet and toes in the winter. This risks your chances of frostbite and injury. Choose footwear that will keep your feet warm, dry and well supported.